Perfect balance in cruising and racing. 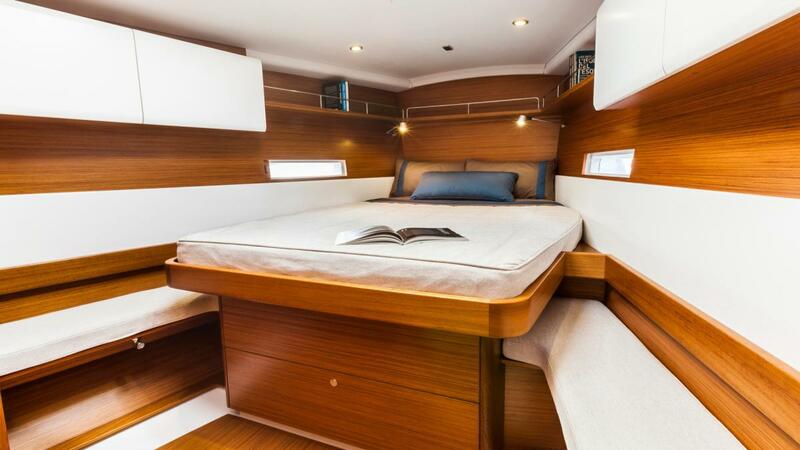 The Grand Soliel 43 gives great pleasure to the sailor wanting the best of both worlds… maximum performance and ultimate comfort. 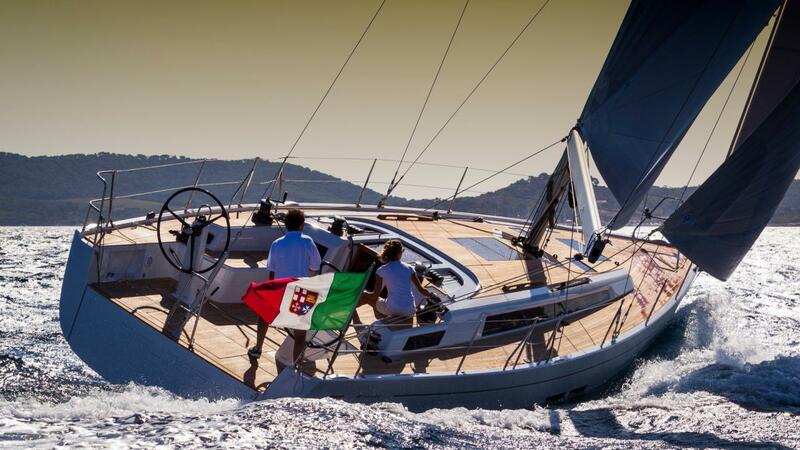 Boat builder Canitere del Pardo and America’s Cup designer Claudio Maletto deliver Italian styling and design with modern technology in a manageable 43 footer. 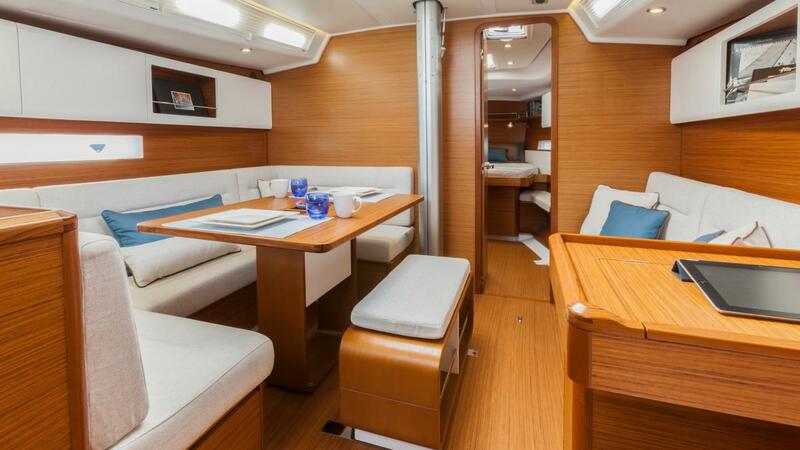 The deck layout of the Grand Soleil 43 is designed to ensure maximum ease and comfort. 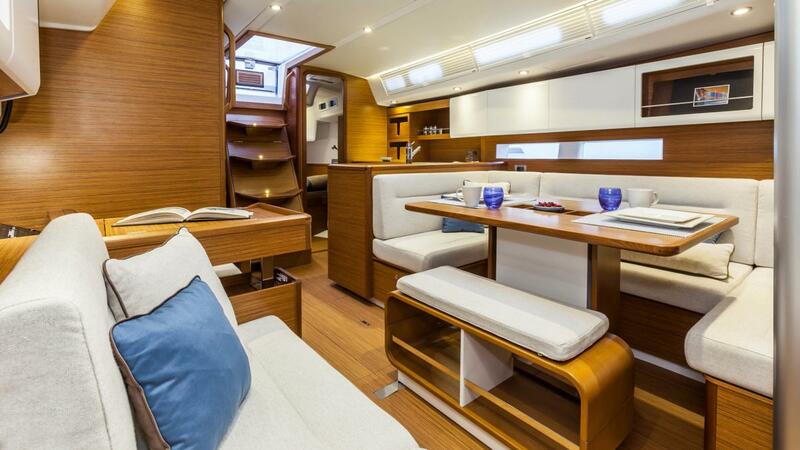 A spacious cockpit, open bathing platform for easy water access and heaps of space for sunbathing offer something for everyone aboard. 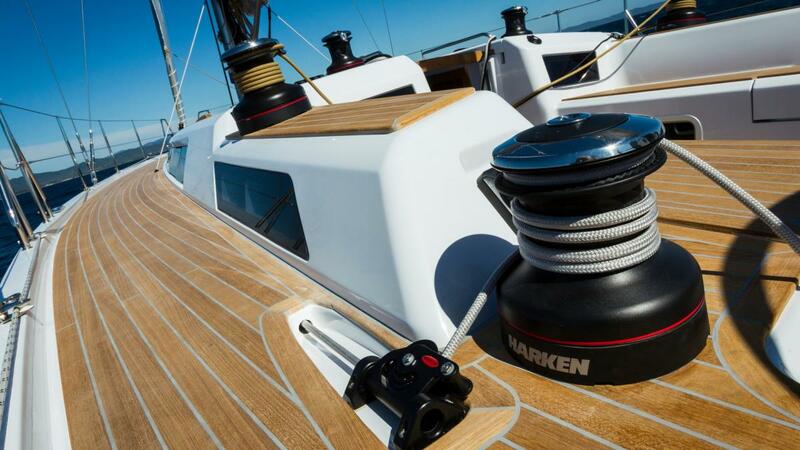 Flush hatches and running decks that are free from lines provide unobstructed movement. The German mainsheet system and jib without overlap with all lines leading to the cockpit optimise ease of handling for a reduced crew. Natural light, solid wood elements with white linear surfaces contribute to the modern, bright and inviting living space. 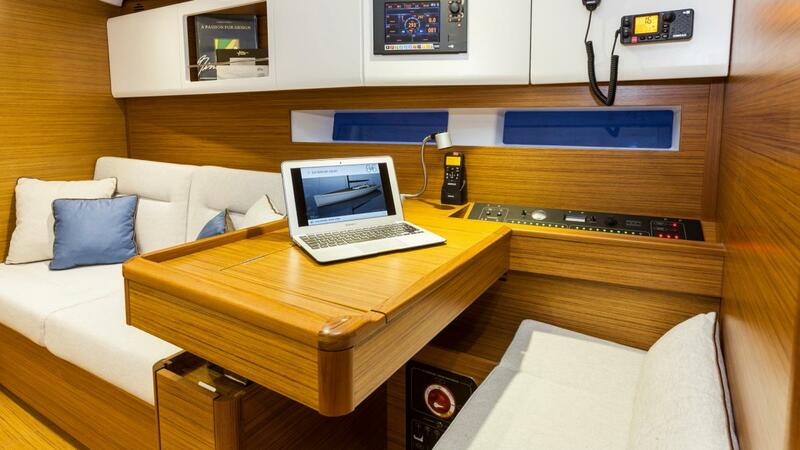 The GS 43 hull has a low wetted surface reducing frictional drag for optimal speed. 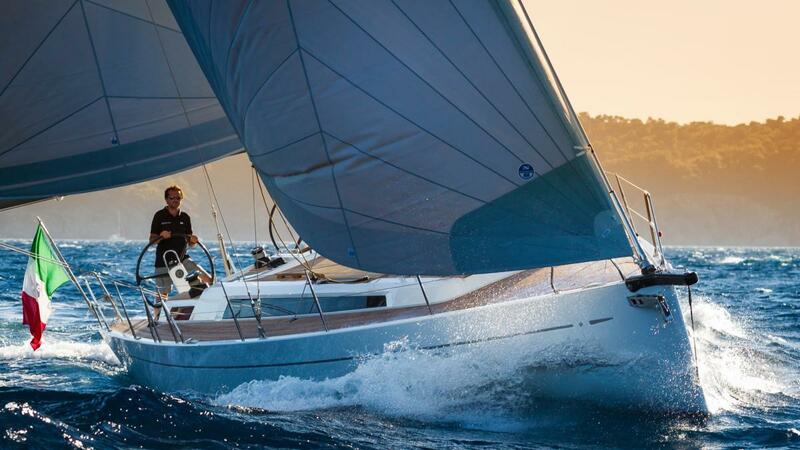 Along with its powerful aft section and efficient torpedo shaped keel, it easily supports a balanced sail plan without sacrificing comfort and safety. 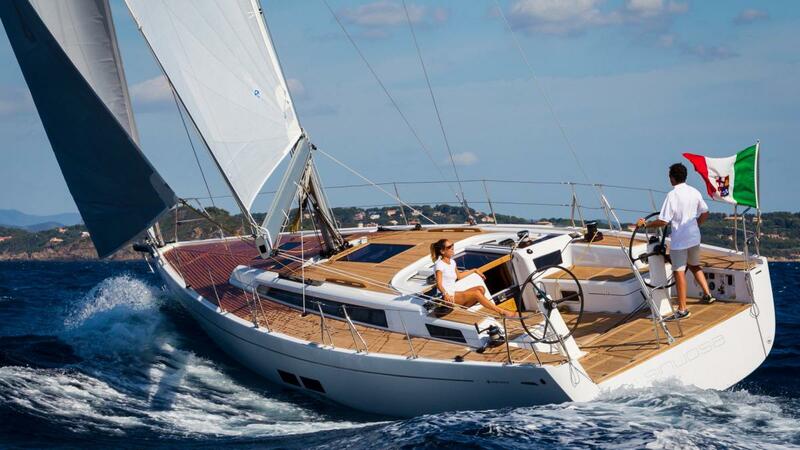 Highly stable, the Grand Soliel 43 is a seaworthy cruiser for distance sailing. 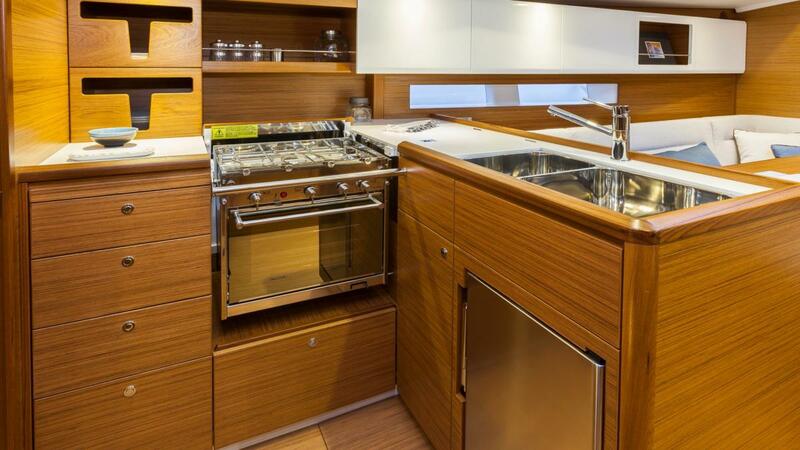 The construction methods take full advantage of the latest innovations in boat building. 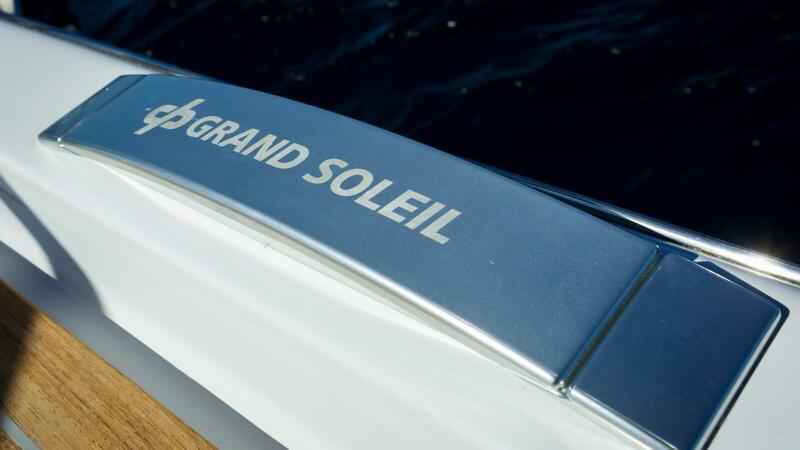 Made of sandwich construction and an internal grid pan with carbon fibre layers, the GS 43 hull and deck are lightweight guaranteeing maximum stiffness and resistance to torsional loads.